Sheraton Vistana Villages offers a unique vacation experience, and Key West Villas feature some of the resort's best amenities and accommodations. SellMyTimeshareNow.com can help you find a timeshare resale or rental at up to 70% off the retail cost. 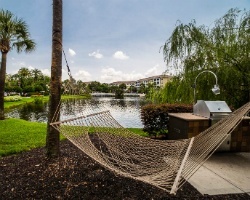 Sheraton Vistana Villages is one of the most revered resort destinations in Orlando. In a city filled with vacation destinations, Sheraton Vistana Villages Key West stands above the rest because of its fantastic accommodations and affordable pricing. 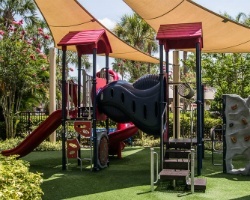 In addition to being within arm’s reach to the big theme park attractions like Walt Disney World and Universal Studios, Sheraton Vistana Villages Key West also offers some fantastic on-site amenities to keep you entertained throughout your stay. 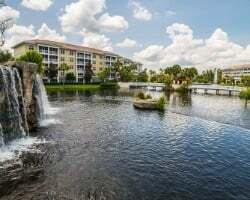 Splash around in the quarter-acre swimming pool with a magnificent waterfall, get some amazing treatments at the massage and tanning centers, stay active at the sand volleyball courts, or grab a bite to eat at the Flagler Station Market and Deli. When the day winds down and you’re coming down from the high of those theme park rides and amazing sights, come back to your Sheraton Vistana Villages Key West timeshare and enjoy relaxing, comfortable living accommodations in their spacious one- and two-bedroom villas. Kick back on a comfortable couch overlooking the amazing tropical garden, cook up a fantastic meal for you and your family using the full kitchen, or take a nice long walk around the resort grounds. The gorgeous lakes, pools, and ponds offer a cathartic scene to help optimize your relaxation and recharge your batteries for the next days ahead. Set off on your next big adventure today! Call our Sheraton Vistana Villages Key West timeshare resale experts at 1-877-815-4227 or fill out the form on the right for more information or to book your dream home-away-from-home today. Purchasing a Sheraton Vistana Villages Key West timeshare resale affords you the lavishness of a top-quality vacation home for thousands of dollars off what the developer is asking for. There are no hidden or upfront fees added to the cost of your property. When you purchase a Sheraton Vistana Villages Key West property off of the secondary market, you’re buying straight from the current owner at a fair price appropriately evaluated against the trends of the current market. Sheraton Vistana Villages Key West Villas are available in the form of a fixed or floating week ownership. You could vacation annually or biennially, and floating weeks can be used in a variety of seasons including Gold, Gold Plus, and Platinum. 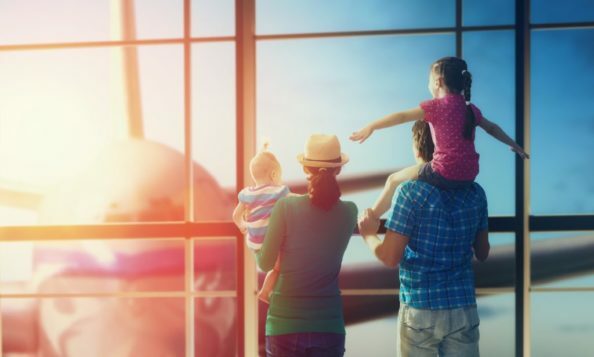 You also have the ability to exchange your week for points to afford you and your traveling companions a more flexible way to vacation. All Sheraton properties are affiliated under the parent brand Starwood Vacation Ownership. Starwood features a catalog comprised of luxurious resorts that are completely cost-effective. 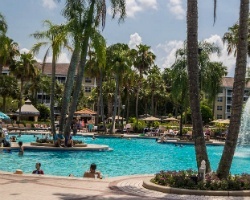 Sheraton Vistana Villages Key West are also one of the select few resale resorts in the Starwood Vacation Network which are eligible for the brand’s points based ownership program, StarOptions. Learn more about the Starwood Network and become familiar with all the great perks Sheraton Vistana Villages Key West owners are eligible to receive. Sheraton Vistana owners can purchase memberships to Starwood’s affiliated external timeshare exchange company Interval International. II, the industry’s second largest exchange company, features over 2,900 resorts worldwide. Sheraton Vistana Key West owners can submit their timeshare week into the exchange pool and choose to vacation at a brand new resort every year! Sheraton Vistana Villages are an Interval International Elite Resort, which gives the property unprecedented trading power within the network. Vacationing to Sheraton Vistana Villages Key West is a carefree, fun-filled stay. The little ones can enjoy three different playgrounds, while the adults commiserate over a piping hot grill at the numerous picnic and barbecue stations. Amenities also include several game rooms, basketball and tennis courts, outdoor whirlpools, and a fitness center to keep you active. Sheraton Vistana Villages Key West also offers a Kids Night Out program, which provides kids with wonderful interactive activities in the care of the Sheraton staff while the adults hit the town for some fun on their own. Sheraton Vistana Villages Key West has also won awards for their green initiatives, including the Three Palm Certification from the Florida Green Lodging Program in 2016. They’ve excelled in many areas of environmental practices including Energy & Water Conservation, Waste Minimization, enhanced indoor environmental quality, and more! Already Own at Sheraton Vistana Villages Key West Villas?